Admittedly, I'm still bitter at Shu Uemura for discontinuing my beloved Skin Purifier High Performance Balancing Cleansing Oil Enriched cleanser (I believe it was retired to introduce the Ultime8 cleanser). Despite this, I do fancy the brand's remaining oil cleansers. After having used the other four formulations, this Summer I decided to try the Ultime8 Sublime Beauty Cleansing Oil. As described on the website, the Ultime8 cleansing oil contains "8 exquisite oils from botanical origin for ultimate solution to 8 skin benefits powerful yet gentle botanical origin removal system for superb cleansing." I've only been using this cleanser for five days, but, so far, so good. However, unlike the other Shu oil cleansers, I have found that the Ultime8 does sting a little, if the product gets into my eyes. The Ultime8 Sublime Beauty Cleansing Oil retails for ¥4,200. 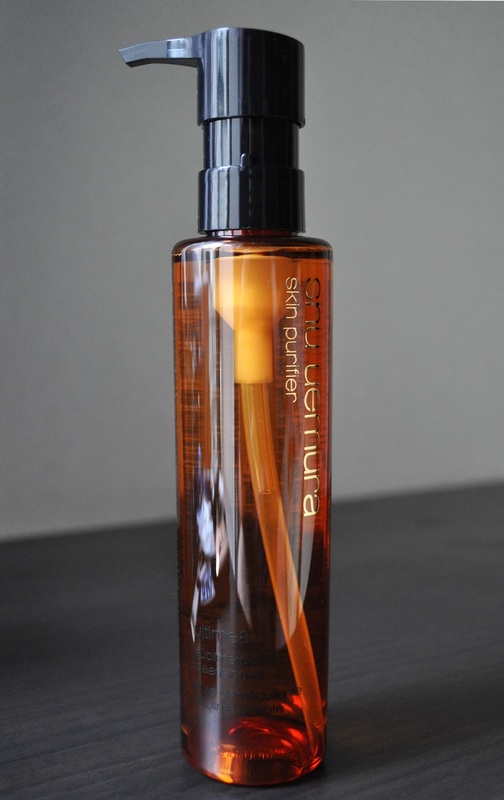 Have you tired the Ultime8 Sublime Beauty Cleansing Oil? I've never tried this before but I've had a small size of the light pink bottle oil cleanser and it's soo amazing! I would buy it full size! based on the season and the needs of my skin, I like to rotate between the cleansers. So, it rare that I buy the 450ml bottles.